Bollywood actor Kartik Aaryan will be seen on British cinema screens once again with his new bromance film Sonu Ke Titu Ki Sweety. The 27-year-old actor made his acting debut with the iconic buddy film Pyaar Ka Punchnama in 2011 and is becoming the undisputed king of bromance comedies in Hindi cinema. 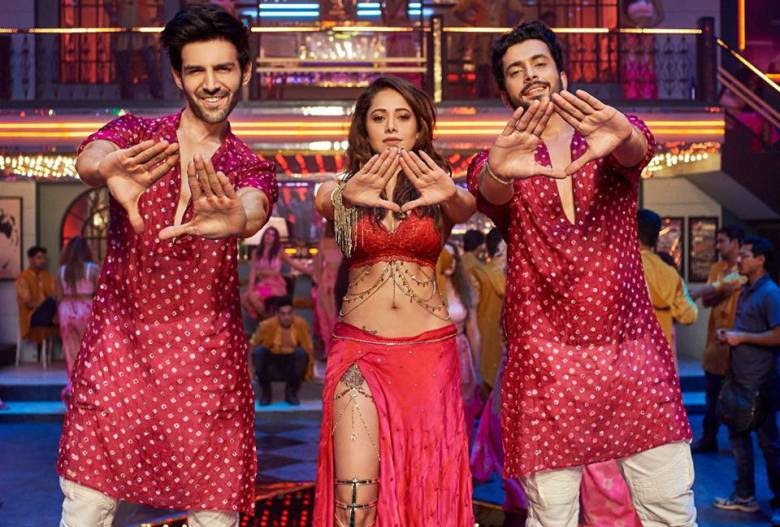 Sonu Ke Titu Ki Sweety also stars Nushrat Bharucha and Sunny Singh and is directed and written by Luv Ranjan Story – Luv Ranjan. The film is produced by Bhushan Kumar, Krishan Kumar, Luv Ranjan, Ankur Garg under T-Series and LUV Films. Sonu Ke Titu Ki Sweety is your third theatrical UK release. How important is the overseas market for you? I would personally love to get good numbers in from the overseas territories. I’ve always wanted to be an actor with a worldwide reach. It’s always been an ambition to reach a worldwide audience through my movies. It’s become the trend among a few people, that the domestic box office is the only important one as of now. I feel the opposite. I believe all markets are equally important, whether domestic or overseas. The worldwide box office is important for an actor and the producer to recover costs and to make the film profitable. Sonu Ke Titu Ki Sweety is my biggest release till date, be it in India or overseas in terms of number of screens in the UK, US and other countries. The UK audience has always been important to us and they love our films. I want to capture it all. I’ve been promoting the film so much that I’ve forgotten where I was two days ago. We are also doing promotions for the UK out of India to create awareness for the film. Social Media has changed the game to create awareness for movies. Do you only use social media for promotional uses or is it a personal medium for you to connect to fans around the globe? I personally love Twitter, Instagram and interacting with fans from all over the world. It’s a booming phenomenon everywhere. It’s become much easier to connect with everyone. I don’t use Twitter or Instagram just because I’ve got to promote a film. I just love to connect with people. It’s helping me out perfectly as I don’t need any other portal to convey what I feel or what I want to say. I believe social media is only used to create awareness of the film coming out. You need to have relatable and good content in the film to make it work. I believe, however much you promote the film, it won’t work if the content isn’t good enough for your target audience. The Bollywood UK market is still dominated by family films or films starring superstars. With Sonu Ki Titu Ki Sweety, you have abusive slang language in Hindi even in the trailer. Do you not feel that may alienate a large chunk of the audience? The unique selling point for my previous films has always been the relatability factor of the characters and story. Pyaar Ka Punchanama and Pyaar Ka Punchnama 2 only worked because the audience related to the content. 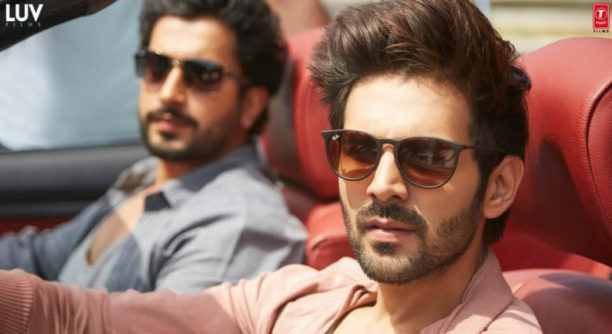 Even the tremendous response to the trailer of Sonu Ke Titu Ki Sweety is due to the connect that the audience feels to the content. We’re also sure about our target audience which is the youth, whether at home or abroad. I’ve always been able to connect with them through my movies. The main reason behind using those words in the film is not because we feel we must use them, but because of the characters we portray. It is the language young people use in India. It’s not done for effect. I guess, we can’t cheat our young audiences either to appeal to another audience if we don’t use those words. It would not fit right as everyone know that these words are used by the younger generation and quite casually to be honest. It’s considered normal. 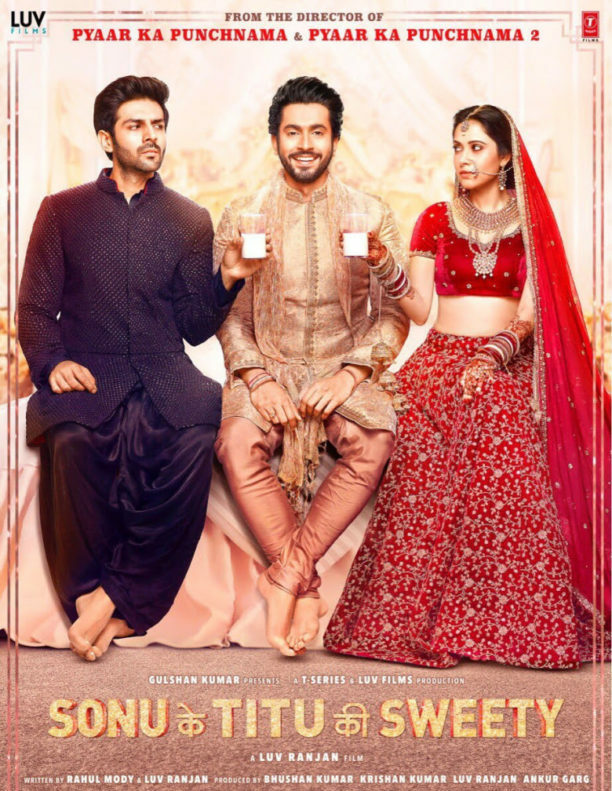 Sonu Ke Titu Ki Sweety is also very different from my previous films as it doesn’t just revolve around boyfriend/girlfriend relationships but a is step ahead with the focus being on marriage. There is an important part played by the family in the film. Alok Nath, who played memorable father characters in multiple Hindi films, is a part of the film along with many other talented actors portraying the roles of aunts and uncles. Since the story revolves around marriage and family, the abusive language is most likely not going to affect anything. We’ve never played it safe and dint want to do it with this one either. You have British singers Zack Knight and Jasmin Walia’s track Bom Diggy in the soundtrack as well. The song was released last year and is now a part of your film too. How did that come about? The song is used in the introduction of our characters, right in the beginning of the film. I’ve always loved Zack Knight’s music. I really liked the song when it came out and used to listen to it all the time. I actually suggested the track for the introduction to my producer and he found it to be the perfect song too. What kind of movies do you want to be a part of moving forward? My basic criteria is to be reletable to the audience. Some choices will work and some wont but I will always stand by them. I want to do movies that cater to the youth, that’s a conscious decision. I need something young and fresh. If Sonu Ke Titu Ki Sweety works, further doors will open for similar roles and for the work I want to do. People call me the first bromance hero and I love that. It gives me a universal acceptance as these scenarios are not limited to Indians. I would love to try certain anti-hero roles somewhere down to line but not right now. Sonu Ke Titu Ki Sweety is in UK cinemas now. 15 queries in 1.233 seconds.